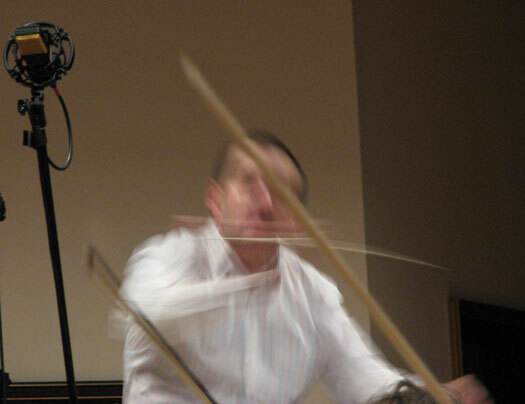 Adam Klemens is one of the leading Czech conductors of film and theatre music (he has recorded music for more than 300 film, TV, Musical, Videogame and CD projects). He recorded music e.g. for projects of Celine Dion, Sarah Brightman, Adele, Blind Guardian and others. He permanently cooperates with Smecky Music Studios, Tadlow Music production company, with MUSA Ltd. music production agency (FILMharmonic Orchestra Prague) and with CNSO orchestra & studio. He records for productions from the USA (Los Angeles - Hollywood), Australia, Denmark, Netherlands, Great Britain, France, Spain, South Korea, Turkey and others. As a concert conductor he concentrates on the 20th and 21st century music. He has performed numerous premiere performances of compositions by Czech and foreign composers. He has cooperated at concert performances as well as at recordings with Prague Philharmonia, Prague Symphony Orchestra, Czech Philharmonic, Hradec Králové Philharmonic, Symphony Orchestra of the Slovak Radio in Bratislava, Suk Chamber Orchestra and others. He was a member of the music production team and the conductor of musicals Monte Cristo and Dracula. He conducted the world premiere of Michal Pavlíček´s composition commissioned by Czech president Václav Havel for a festive evening of the NATO Prague Summit in 2002. In 2010 he conducted Viva Cinema! film music concert at the Viva Musica festival in Bratislava (Slovakia) with Czech Virtuosi Brno orchestra. In 2010 and 2011 he conducted Moravian Philharmony Olomouc and Prague Chamber Choir on three concert tours in France. In January 2015 he performed in France (in Opera de Dijon) a concert of works by B. Smetana and A. Dvorak - with Czech Virtuosi orchestra.